Rothöll - Fine Leather From The Sea | The Deutsche Welle visits Rothöll! Home press The Deutsche Welle visits Rothöll! The Deutsche Welle visits Rothöll! Two weeks ago the Deutsche Welle visited me in my studio. Editor Jens von Larcher has made a report on fish leather, its production and processing. 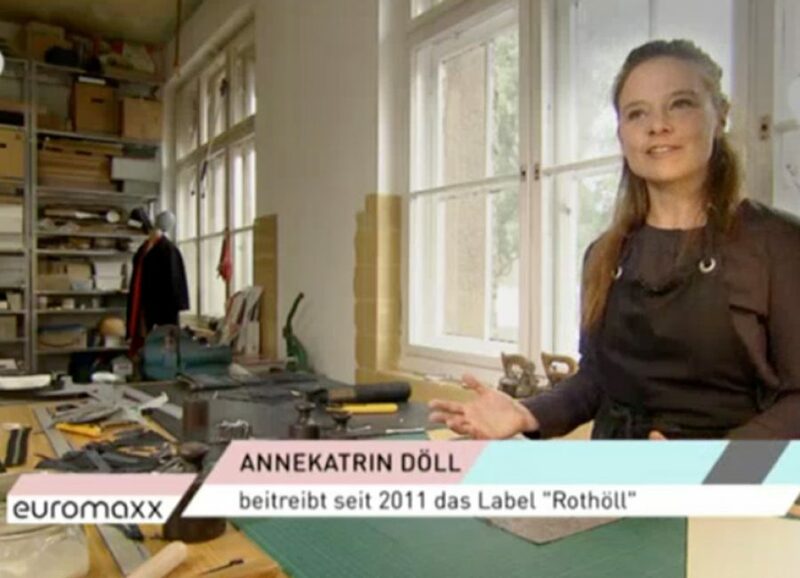 So if you always wanted to know how fish leather is made and what it looks like in the studio of Rothöll, you will gain a small impression with the article! You can subscribe to our newsletter here! Rothöll transforms leftovers from the fishing industry into sustainable luxury accessories. Iceland is the source of our inspiration and our fish leather. The tanned salmon and perch skins we use are outstandingly durable and will keep their distinct scale textures for years to come. Our timeless designs are made by expert craftsmen in Germany. Secure payment via SSL encryption.